In the summer of 2007, I returned from studying in Scotland having gained a once-in-a-lifetime experience and fifteen pounds. I immediately started going to my parents' gym to lose the weight, but I wasn't yet a runner, so on days when the drive to the gym seemed too onerous, I needed an at-home workout to turn to. 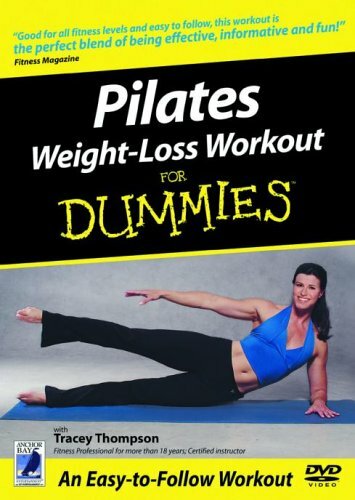 Enter Pilates for Dummies, a borderline corny DVD I got from the sale rack at Barnes & Noble. I think it cost me a whopping $8. I always suspected Tracey Thompson is also a body-builder...check out those guns! I did this DVD about five days a week, along with lifting weights and doing the elliptical at the gym, until school started again in August, and I was in the best shape of my life. This summer, I was trying to branch out with my cross-training and active rest days, and thought...why not try it again? Luckily, Elizabeth was willing to join me for some laughs. She rode her bike over, we pushed aside some furniture, and we got to work! "Body rockers" before the song was annoying/cool/existed. Preparing to do some releves - I swear, Pilates is yoga + ballet, and T25 is Pilates + agility training. The first half of the DVD is warmup and standing pilates, and then it moves into floor positions. The best part about this video is that it's just corny enough to make you feel silly, but it's not all-out 80s corny. Matt took some video of us "rolling like a ball", but unfortunately it's not long enough to actually post. We were cracking up at the tips to avoid getting stuck in that particular position. 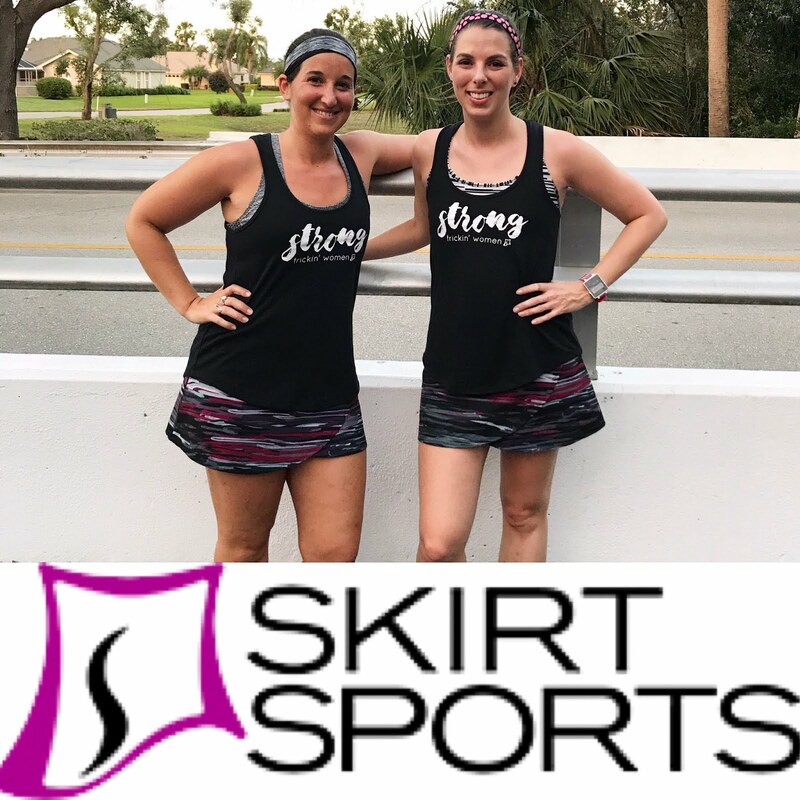 The next day, I had some minimal soreness in my quads from all the squat-type exercises in the video; then I ran four miles over the bridge, to make sure the soreness really set in. I had forgotten how much I love this video, and how easy it is to fit into my schedule. I'm thinking I'm going to explore B&N for some more sales this summer! Don't forget, if you want to enter to win a Bondi Band (like the one I'm wearing in these pictures), the giveaway ends tonight at midnight! Do you use workout videos at home? What is your favorite corny workout video? When pregnant both times I used a pregnancy fitness DVD, kind of a combination of prenatal yoga / pilates / strength training. Of course it was corny - is any workout video not corny? And when I was much more overweight I used a Lilias! yoga video. I don't think I own either anymore. I think they make workout videos corny for the entertainment value! If you're laughing, you're engaged! I used to use Winsor Pilates DVD religiously and then I just got tired of it but I did find the results beneficial. now I love my eight minute abs with the corny 80s music and blue spandex :) it gets me every time! I've never done Pilates. I always thought it involved the use of those torturous looking machines! The only workout videos I ever use are the Jillian Michaels 30 Day Shred videos (free on YouTube). They will get you working up a sweat in 2 minutes flat! I like Pilates because it's like a more challenging yoga. I need to check out YouTube this summer for more workouts! This is like a dirty little secret.... about 12 years ago I bought a whole set of The Firm Dvd's with a "Fanny Lifter" and some sort of heavy stick. The hair on the trainers alone is fantastic. I am DYING at the "fanny lifter"! !